A growing family means more love, however it also means that that love is sprinkled with additional busyness and less hands once you're outnumbered! As our family has grown so has the diligence to give each child their individual time. When we learned that LÍLLÉbaby was releasing a newly redesigned carrier for toddlers we were very excited! What better way than baby-wearing to keep our children close, spend time with them, and to have extra hands as needed. A toddler carrier helps manage all of those dilemmas. The newly designed carrier is the LÍLLÉbaby CARRYON, AIRFLOW CARRIERand it is set to LAUNCH November 15th! My family and I are thrilled to have tried the newly redesigned LÍLLÉbaby CarryOn Airflow! 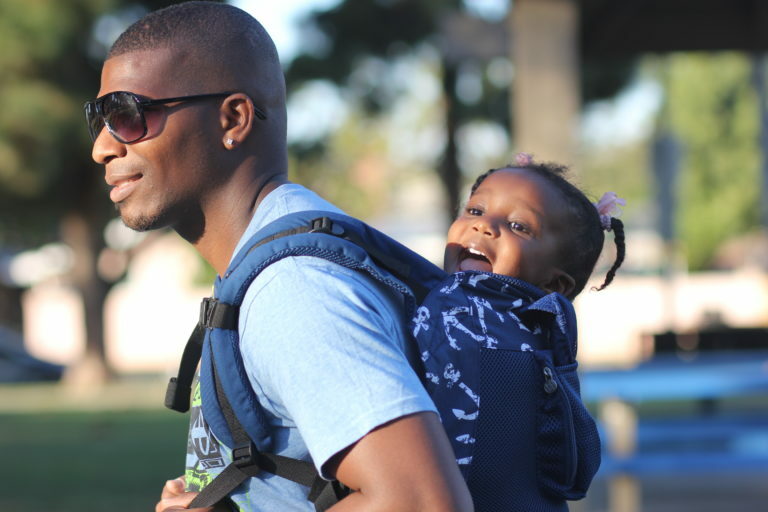 We do not own the original LÍLLÉbaby toddler carrier, but we've heard mixed reviews about it. I'm excited to share that LÍLLÉbaby heard what their customers have asked and they have listened! My husband and I have used our new CarryOn for our 4 year old son and our 2 year old daughter and have achieved a comfortable fit for both in front and back carrying positions. My toddlers luv being worn on our backs, they see it as a back ride and my husband and I see it as bonding and convenience. Our children feel weightless yet snug and secure in our new CarryOn. We absolutely luv it and are looking forward to more family adventures that will most definitely include baby-wearing. The newly designed LÍLLÉbaby CarryOn has shortened the straps with more adjustability for a closer fit, extended torso, added fabulous new prints, and their signature mesh panel to keep children comfortably ventilated, whether you're wearing inside or just want to add a little breathability to your layers of winter gear! The CarryOn's deeper seat and tall torso (tallest one available) is specifically designed to secure and support children size 2t pants and taller. 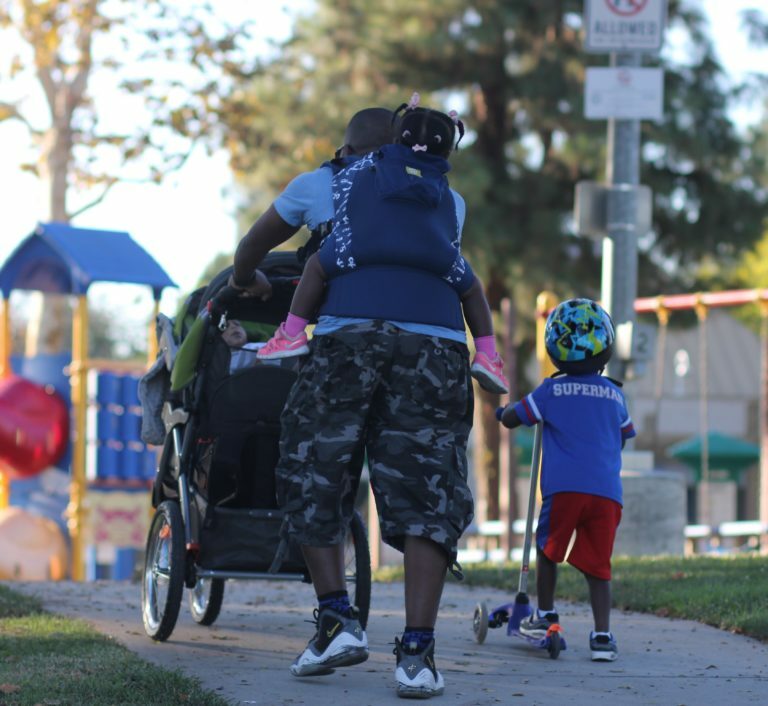 The CarryOn is a fantastic option for extending the baby-wearing years, and a great way for us families to feel empowered to be active and to spend quality time together as our kids grow! • Three comfortable, ergonomic carrying positions - front, hip, and back. • Straps may be worn crossed or backpack style. • 100% cotton border on the torso for added support and durability. With all of these wonderful changes to the LÍLLÉbaby original CarryOn my husband and I can truly wear our children forever in our newly redesigned LÍLLÉbaby CarryOn!! !